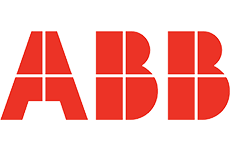 Looking for ABB products? Get a quote fast. Circuit breakers, contactors, switches, transformers - you name it, they have it. With ABB, no matter what product you choose, you can always count on the following: high performance in any condition, and seamless, easy replacement of components. ABB carries several types of circuit breakers including molded case circuit breakers, vacuum breakers, as well as mini circuit breakers and they carry some of the industry’s most popular. In fact, ABB medium voltage circuit breakers boast the title of being the most successful line of medium voltage circuit breakers on the market. ABB carries a wide variety of contactors across a number of current and voltage ratings. Choose from 3 and 4 pole contactors, DC contactors and more. Easy to use and built with extreme ruggedness. These are the cornerstones of every ABB control panel. ABB control panels provide you with unsurpassed automation control. Bay Power carries a variety of ABB control panels, or we can build you a custom panel with quality ABB control panel components. Protect your circuit breakers, panels and more with a NEMA rated ABB enclosure. Whether installed outdoor or indoor, there’s an ABB enclosure for you. When you choose a load center from ABB, you choose a reliable high quality product that will far surpass your residential, commercial, and industrial requirements and expectations. Combine your ABB contactor with an ABB manual motor starter and you’ve got an unbeatable combination that protects your motors from overloads and short circuits. Low voltage or medium voltage, ABB has a motor control center for every type of industrial application. Available in a number of configurations, ABB motor control centers are known for their flexibility and reliability. From open-type motor starters to enclosed motor starters to mini reversing motor starters, keep your motor running smoothly with the best ABB has to offer. ABB carries both thermal and electronic overload relays across different trip classes. ABB overload relays provide reliable motor protection with adjustable current settings. In 2012, ABB’s ProLine panelboard was rated as the safest in the industry. More recently In 2017, they pioneered a new line of panelboards with finger-safe safety features that are exclusive to ABB. ABB push buttons and pilot devices are exceptionally rugged. Available in both IEC and NEMA models across all standard button sizes, ABB push buttons switches are as flexible as they are reliable. Protect your motor from power surges with an ABB soft starter. Not only will an ABB soft starter increase your motor’s lifespan, it will also help you up your productivity and optimize motor control. ABB switchboards are exceptionally compact and durable. These UL certified switchboards provide you with safe and reliable power distribution. ABB’s switches and disconnects offering spans a wide variety of applications. Choose from ABB automatic transfer switches, manual transfer switches, heavy duty safety switches and non-fusible safety switches. Whether you need low voltage switchgear or medium voltage switchgear, ABB switchgear is fit for nearly any application. Choose from air insulated, gas insulated, and more. ABB’s Entrelec terminal blocks are applicable across a number of industries. Whether you need a screw clamp terminal block or a push in terminal block, there’s an ABB terminal block for every application. ABB has a vast selection of both power transformers and distribution transformers, including both dry type and liquid filled transformers. ABB boasts the best short circuit record in the industry with over 40,000 ABB transformers currently operating worldwide. For your fans, pumps, HVAC systems, conveyors and more, an ABB VFD can help increase the lifespan of your motors while saving you on energy costs and increasing productivity.